Facebook recently has been keen on showing updates from people rather than brands in their timeline. YouTube has put minimum limits for subscribers and hours before they can start earning money. Huffington Post has closed it’s programme for anybody to contribute. That’s just 3 since the turn of 2018. This leads to me repeating what is commonly said – try to always invest time and money in platforms you can control. Having a platform you own and control as your main source of income should be a priority, as in just over a month we’ve seen three key platforms to marketers change their terms and conditions. 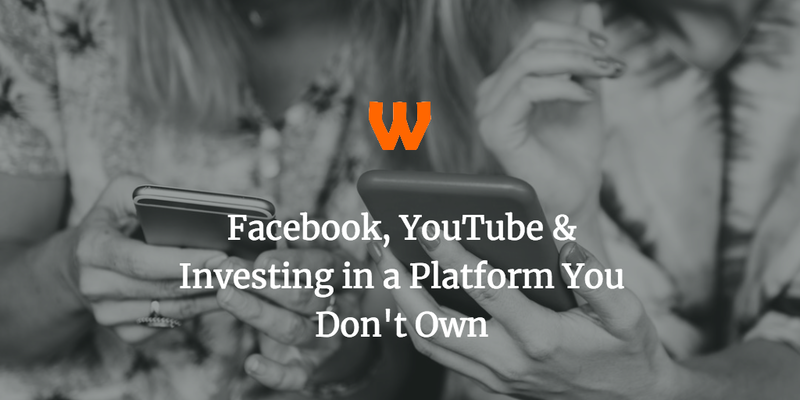 It shouldn’t be the case that you don’t invest in these platforms, of course, but if you have invested heavily, you may need to rethink your strategy. Here’s what I would do. I’m slightly biased, but I’d try and build the website on a self hosted WordPress. With a small amount of technical know how (which you can obtain at any WordPress meetup or WordCamp) you can safely host a website for not much money. Really your main brand should be on a domain you own and software you run, as if you don’t have complete control, you could end up in trouble and losing content and your work. But then you know that, already! The next thing I would do is start an email list. Generally speaking, for my sites, the email list is the most engaged and best converting area of my site, having a much larger return on investment than any investment in social media. 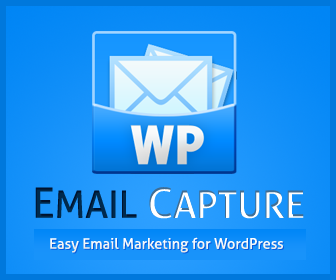 If you build a site in WordPress, and not sure exactly where to go with Email Marketing, check out WP Email Capture (which is my plugin) as it will allow you to start collecting email addresses from your site quickly and easily so that at a later point you can begin to contact them directly. Just don’t leave it too long, in case they forget. Once you’ve done that, then you can begin to focus on other platforms. It will be slower growth, but it is more secure and a safe way to grow. Even if you have popular YouTube channel, or a huge Facebook reach, having a site to back it up and a site you control – even if the average visitor sees you through another means – can help focus your growth. A great example of a popular social media resource pivoting to their own system is the cookery Facebook Page Twisted. It’s Facebook page is huge, yet it still has a site. Sure a lot of the content from Facebook is curated there, but it’s rejigged and refocussed to a different market (Google traffic as opposed to Facebook social media traffic), this can lead to a strong branding as repeat visitors visit you over a period of time on different platforms. By having your own site you control the message, and using social media to push your traffic to your site, you can actually have some success, great success in fact, but you shouldn’t sacrifice your site for social media gains, as that rug can be pulled from underneath you. 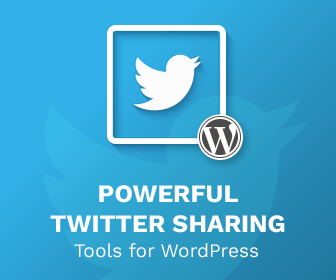 « Inline Tweet Sharer 2.1 Released!